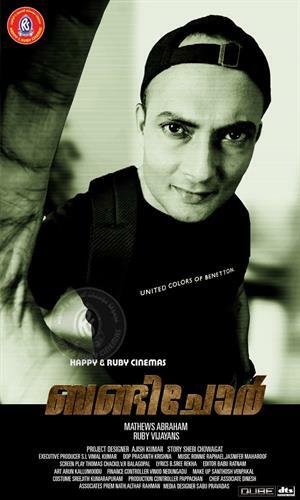 Bunty Chor malayalam movie featuring Nixon C George in lead is directed by debutant Mathews Abraham. After Lokpal, Ruby Vijayans are producing the movie under the banner of Happy Ruby Cinema. Made at a budget of 2 Crore, 'Bunty Chor' will have all the flavours needed for a commercial movie. The first schedule of shooting is carried out at Venugopalan Nair's house, an NRI who lives in Thiruvananthapuram where 'Bunty' had done the real theft. Don't get panic if you find Bunty Chor alias Devinder Singh on the streets of Thiruvanathapuram who is known for his notoriety for indulging in more than 500 burglaries. Bunty Chor or the 'Indian Robin Hood' who become an overnight hero in Kerala has become the hot subject for film makers in malayalam industry. With 2 movies under making, it would be carried out by debutante directors who would be donning the projects with all elements of commercial flavours added to it. Titled as 'Bunty Chor', the movie which features Nixon C George in lead is directed by debutant Mathews Abraham. After Lokpal, Ruby Vijayans are producing the movie under the banner of Happy Ruby Cinema. Made at a budget of 2 Crore, the first schedule shoot of 'Bunty Chor' is being carried out at Venugopalan Nair's house, an NRI who lives in Thiruvananthapuram where 'Bunty' had done the real theft. After committing the hi – tech robbery at Thiruvanathapuram, Bunty Chor alias Devinder Singh lost the bag which contain the theft items. Rest of the plot revolves around the investigation regarding the bag. Other than Thiruvanthapuram, the movie will be shot in various locations in North India. Other than Nixon, 2 heroes and 3 heroines are being casted in the movie. Sheby Chavakkad has penned the story while 'Bunty Chor' which will reach theatres in June. 'Bunty Chor', the high tech thief, had looted a sports utility vehicle (SUV) worth Rs.28 lakh, a laptop worth 1 Lakh and two mobile phones from an NRI businessman Venugopalan Nair on 21st January after deactivating the security devices and breaking bullet proof windows. Later he was arrested after being spotted at Hotel Sai Executive in Malta Chowk, Pune. Dibakar Banerjee's Oye Lucky! Lucky Oye! which was inspired by the life of Bunty won National film award for best popular film. Another movie titled 'Bunty Chor- Story of a thief' made in three languages and will have Dracula fame Sudheer Nair in lead role. Directed by debutant Manoj Ram, the movie which feature Tamil actor Nasser and Hindi star Nana patekar in prominent roles. Produced by Santhosh Pavithram, this shooting of the movie is being carried out at various locations.